Hey guys, new here. Looking to get into a c6 zo6. I have about $30k I've been looking only for a couple weeks. I notice prices are kind of all over the place on these things. Let me see if you have anything good. As someone looking for the same thing and price range, I've noticed the range of price too. Seems most forum owners think the value hasn't diminished from the last couple years. You can find nice 30-50k mile cars from $28-$34k. It's a matter of how broad your search area is. For me I've bought cars nationwide and not afraid to do it again. thats where I'm at right now too. Obviously would like something close to me so I can go see the car. But a ton of pictures and maybe a video, and an honest seller would do too.... And for the right car, I'd fly out somewhere to see it and have it shipped. I agree, seems they must be seeing the drop in some way. Whether it be inquiries on the vehicles, lots of lower offers, or something. I've found some decently priced cars on here but just outside what I'm looking to spend or have some work done that I'm not a fan of. I'm exactly in the same boat. Funny how I see a C6 Z with around 30-40K miles from $30K ish to $45K+. Some people forget that around $40K one can get a C7. 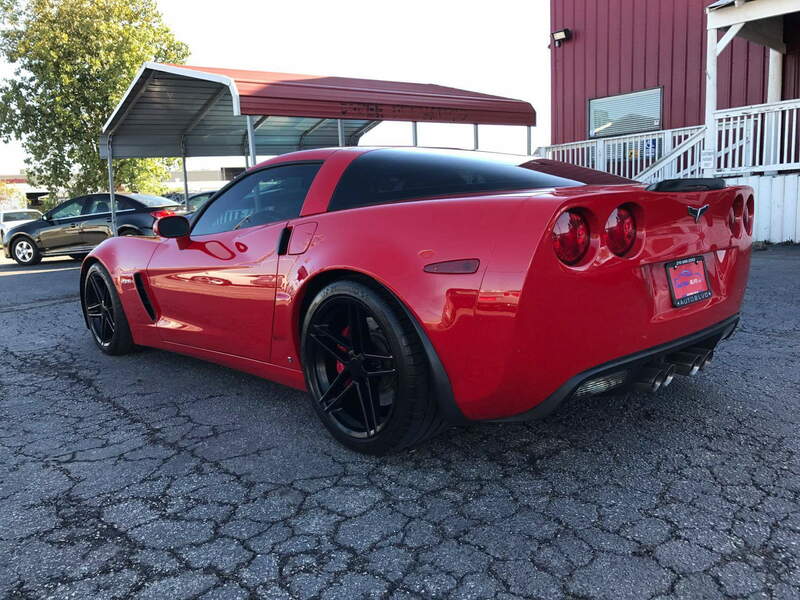 No sense in trying to sell a C6Z for that price (JMHO). Honestly, if I have $37K for a C6Z, I'll beg/borrow/steal another 4-5K and get a C7. That's however very subjective. I always wanted a c6z06, I was in a position to buy that or a c7, while I did save a little money going c6z, at the same price I still wanted a c6z much more so than a base c7. Wholesale pricing at the auctions last week showed 2008 Z06's ranging from 29-34K in Avg. condition. Just look at the sale threads. Miles, year...doesnt matter. If you find one near Kansas City and would like someone to take an in person look before flying out yourself, just let me know. on a side note, unless people are strictly paying cash or throwing $10k plus down, i am not sure what bank they are using to get loans for what some people are asking. I am looking for a MN6 C6 or a C6Z, not in a rush, but if there's one at a decent price, I'll take it. Got cash in hand. Last edited by golfinz; 01-09-2017 at 01:34 PM. A base C7 vs C6Z = apples to oranges.